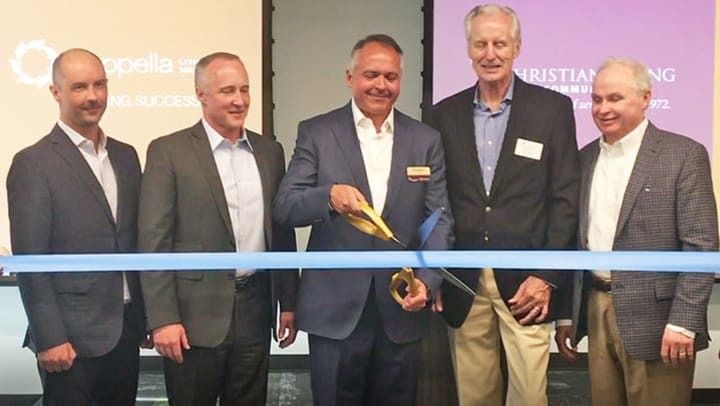 Cappella Living Solutions and our parent organization, Christian Living Communities (CLC) purchased an office building in Meridian Office Park, which we redesigned to become our organizational hub. CLC and Cappella Living Solutions have a strategic vision to own or operate 20 communities or services by the end of 2020, creating communities where aging is honored and celebrated. CLC is a Colorado-based, not-for-profit that has been operational since 1972.